This article was written by Joshua Tay, a criminal lawyer with AmerBON Advocates. 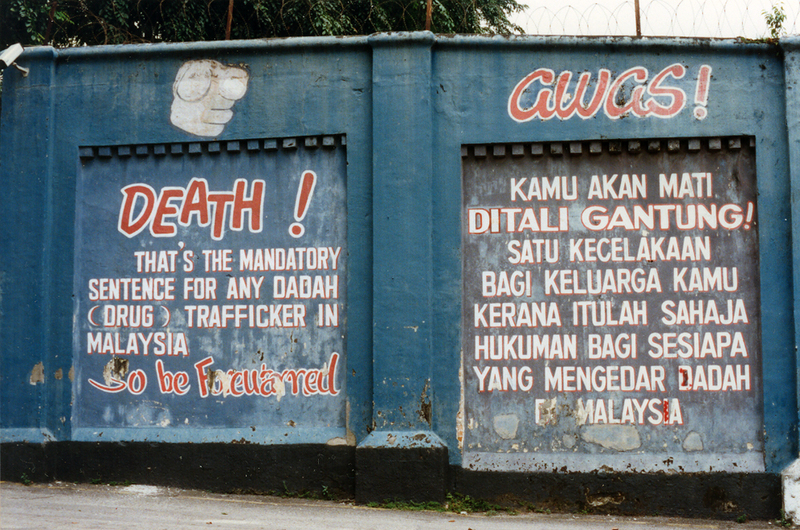 In Malaysia, dangerous drugs have always been treated as a bane to society. The courts are usually swamped with drug cases where people stand trial for committing various drug related offences – some of them claiming their involvement was accidental or that they’ve been duped. In view of this, it is important to possess a basic understanding of the drug laws in Malaysia, even if you don’t do drugs. A section of the old Pudu Prison wall. Image from The Prohibition Post via Hype.my. (2)Any person who contravenes any of the provisions of subsection (1) shall be guilty of an offence against this Act and shall be punished on conviction with death. However, it might be surprising to learn that the death sentence wasn’t always mandatory … the change in the law only happened in 1983. Before that, the death penalty for drug trafficking was discretionary, meaning that the court had the option of sentencing you to a prison term instead of death in certain circumstances. The Dangerous Drugs Act (DDA) was amended in 1983 as a by-product of the government’s war-on-drugs policy to stamp out the mushrooming social problems related to drug offences. The three common offences are self-administration, possession and drug trafficking. Each of these come with different punishments and ways in which the court can determine if you are guilty or not. (i) Self-administration (basically for private use), which is governed under section 15 DDA, is considered the least serious offence compared to possession and trafficking. This offence is often proven by chemical tests conducted on the urine or blood sample of the accused person and it carries a fine not exceeding RM5,000.00 or an imprisonment term not exceeding 2 years. (ii) Possession is governed under section 6 or section 12(2) DDA depending on the type of drug. The legal concept of “possession” requires three main ingredients to be proven – Custody, control, and knowledge. These three ingredients form both the act and the mental element (the intention or knowledge of wrongdoing) necessary to find someone guilty for possession of drugs. The punishment for drug possession could vary from a mere fine to life imprisonment and whipping, depending on the weight of the drugs in question. This will be explored further in Point 3. (iii) The most severe offence under the scheme of the DDA is drug trafficking as it carries the mandatory death penalty, as mentioned in the previous point. To prove an offence of drug trafficking, the prosecution must first prove that you were in possession of dangerous drugs and that such possession is for the purposes of trafficking in the said drugs. 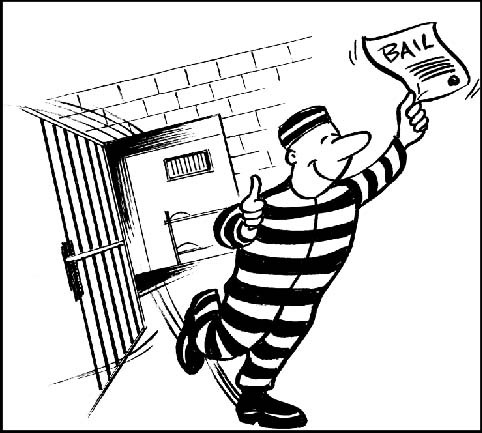 The reason why bail is significant is because court trials can take a very long time and, during the trial period, you can either be allowed to go home on bail or be remanded (detained in prison) until the conclusion of the trial. However, if you’re charged for possessing a certain quantity (weight) of drugs or for drug trafficking, then no bail is allowed. If you were found guilty of possessing between 2-5 grams of Heroin, Section 39A(1) states that the court will have to sentence you to prison for 2-5 years and 3-9 strokes of the cane. On the other hand, being guilty of possessing more than 5 grams of Heroin will land you with imprisonment from 5 years to life and a minimum of 10 strokes of the cane under Section 39A(2). In other words, if you’re charged for drug possession under section 39A(2) or for trafficking, the court cannot exercise its discretion to release you on bail but to hold you in remand until the conclusion of the trial. The remand period can stretch for a very long period (usually not earlier than a year) as the trial process can be very lengthy. In many cases where people have been caught with drugs, the often-heard claim is that they didn’t know the drugs were there. So how does the court determine whether or not this is true? Similarly, how does the court determine whether you’re guilty of possession or the more serious charge of trafficking? This is where presumptions come in. A presumption is a legal construct which enables the court to presume the existence of a certain fact upon the proof of other ancillary (supporting) facts. The most commonly employed presumptions in drug cases are the presumption of possession/knowledge and the presumption of trafficking. These are both housed in section 37 DDA, which provides a list of presumptions applicable in drug cases. You were stopped and checked while carrying a bag for a friend. Unfortunately, you didn’t know there were drugs hidden in the bag and you’re charged for drug possession. The presumption of trafficking on the other hand depends on the weight of the drugs in question. If the weight of the drugs found on you exceed the threshold weight prescribed in section 37(da) of the Dangerous Drugs Act, then it can be presumed that you are trafficking in the said drugs. Section 37(da) is a rather extensive, so you may want to take a look at it yourself here. The prosecution shows that you have physical custody and control of the drug, or anything in which the drug was contained (like a box, bag, parcel, etc.). This proves the offence of drug possession. If the weight of these drugs exceed the threshold weight (e.g. 15 grams of heroin, 50 grams of Methamphetamine or 200 grams of Cannabis), then the more damning offence of drug trafficking is proven. It must be said however that these presumptions are rebuttable; which means that you can bring evidence to negate or refute the fact that you had knowledge of the drugs, or that you were not trafficking in the said drugs. Aside from the punishments mentioned above, there are other penal sanctions you may face because of drug-related offences. 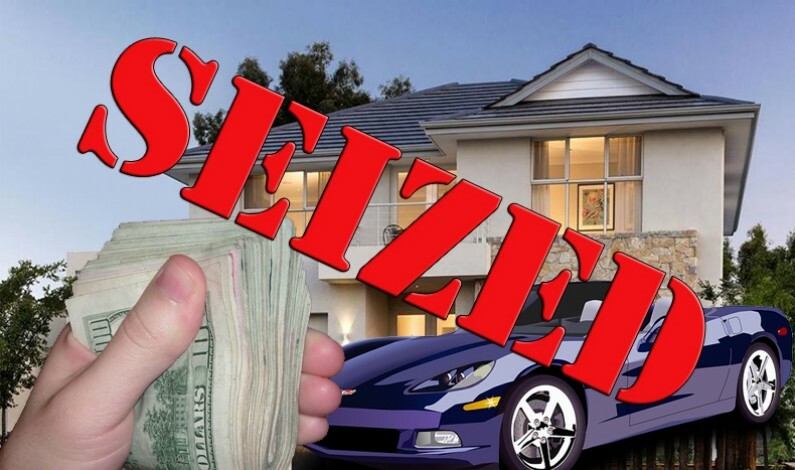 These may include the freezing or forfeiture of your assets (like your house or bank account) under the Dangerous Drugs (Forfeiture of Property) Act 1988 or the Anti-Money Laundering and Anti Terrorism Financing Act 2001 if it can be proved that these assets were used for illegal activities stipulated under these laws. You may also face detention without trial under the Dangerous Drugs (Special Preventive Measures) Act 1985,where a person may be detained under the order of a Minister for a period not exceeding two years for being associated or involved in drug trafficking. This Act also allows the Minister to restrict your movements to a certain area via a restriction order. However, it isn’t just all harsh punishments. The law also caters for the rehabilitation of drug users by focusing on reform, through rehabilitation programs, treatment and police supervision which can be found under the Drug Dependants (Treatment and Rehabilitation) Act 1983. “No criminal justice system is perfect. You take a man’s life and years later, you find out that another person did the crime. What can you do?” – Datuk Seri Nazri Abdul Aziz, 2012, as quoted by The Star Online. 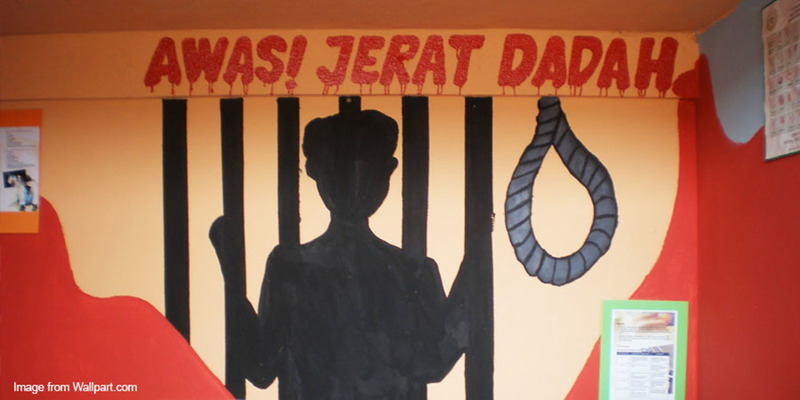 Recently, the mandatory death penalty has once again been put in the limelight with the current Law Minister Azalina Othman calling for a review of the mandatory death penalty. According to several news reports, the government has purportedly agreed to amend the law to grant discretionary powers on the courts to impose other forms of punishment besides the death penalty. “The cabinet agreed and decided that amendments be made to Section 39B of the Dangerous Drugs Act by including additional clauses to give discretionary power to the courts to bestow other sentences, besides the mandatory death penalty, in certain situations.” – Azalina Othman, March 2017, as quoted by The Malay Mail Online. 1) Be extra careful and exercise caution when a stranger or even a friend asks you for a favour to safeguard or carry their belongings. Although it may not be courteous to peek into someone else’s belongings, the law imposes a duty on you to check and inspect for contraband items. 2) Do not leave your belongings unattended or unsecured in public areas. These particulars may enable the authorities to conduct a thorough investigation and also be used to support your defence in court if you get charged. 4) Immediately inform your family or friends and seek legal advice if you are arrested or investigated over drug-related offences.